Mr. K.L. Ganju, o.c.v.c, Consul General, Union of Comoros & H.E. Mr. Gudmundur Eiriksson Ambassador of Iceland. Mr. K.L. Ganju, o.c.v.c, Consul General, Union of Comoros and Dr. (Mrs.) G.K. Ganju with Chief Guest & HE. Maj. Gen. Vetsop Namgyel Ambassador of Bhutan and his wife. Mr. K.L. 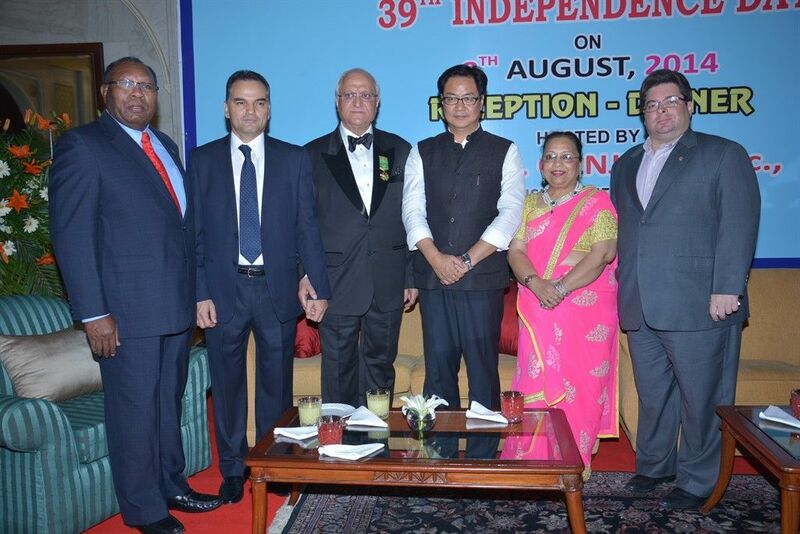 Ganju, o.c.v.c, Consul General, Union of Comoros and Dr. (Mrs.) G.K. Ganju with Chief Guest & Dean of the Diplomatique Corps in India. Mr. K.L. 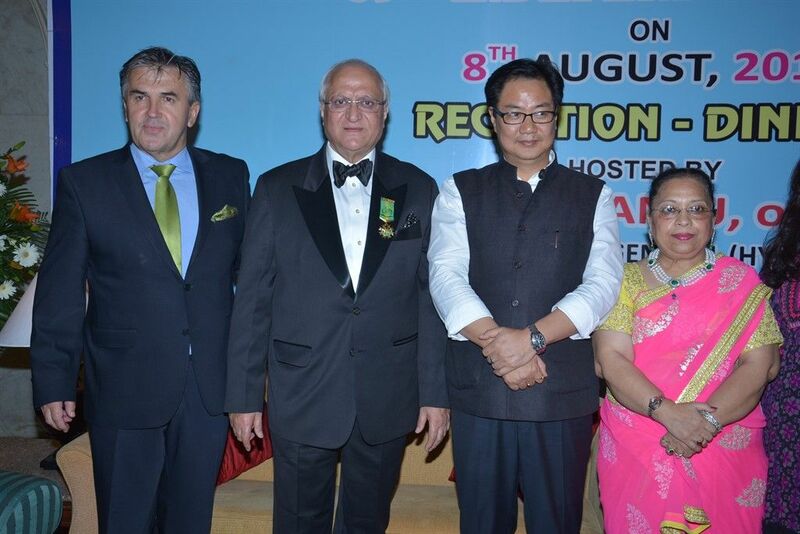 Ganju, o.c.v.c, Consul General, Union of Comoros and Dr. (Mrs.) G.K. Ganju with Chief Guest & H.E. Dr. Sabit Subasic Ambassador of Bosnia & Herzegovina. Mr. K.L. 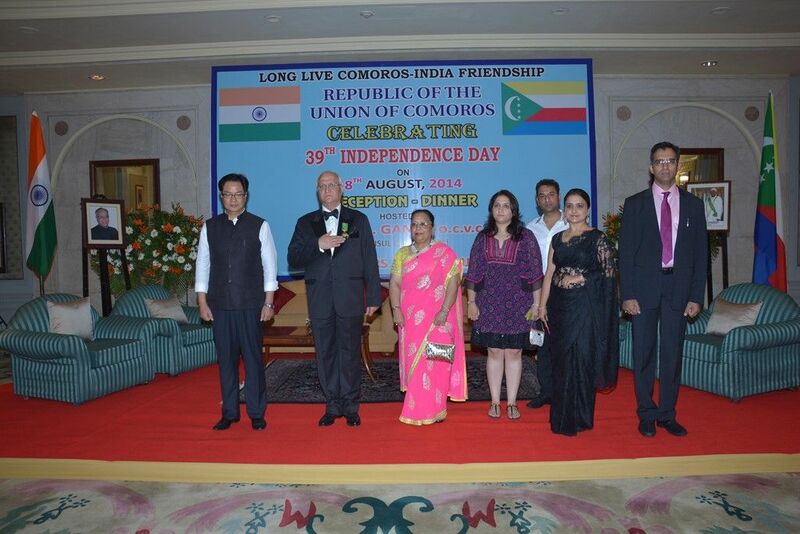 Ganju, o.c.v.c, Consul General, Union of Comoros and Dr. (Mrs.) G.K. Ganju with Chief Guest & other Ambassadors. Mr. K.L. Ganju, o.c.v.c, Consul General, Union of Comoros presenting plaque to Chief Guest H.E. 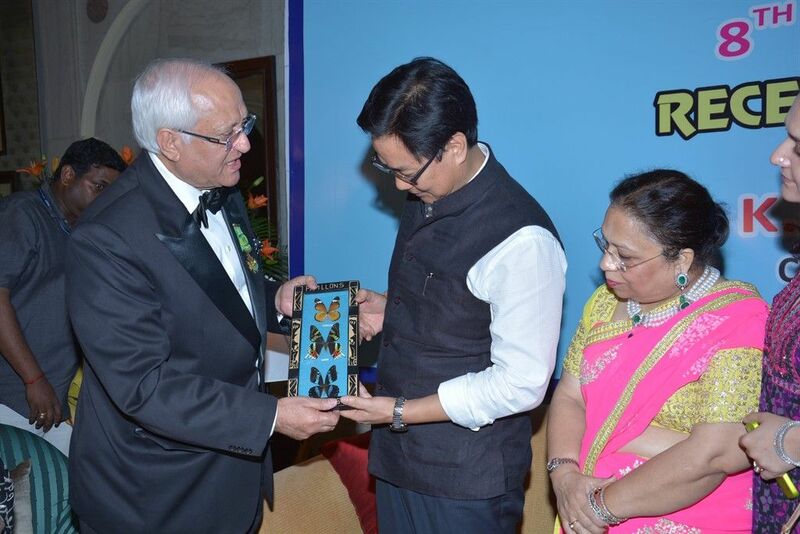 Mr. Kiran Rijiju Minister of State of Home Affairs, Government of India. Mr. K.L. Ganju, o.c.v.c, Consul General, Union of Comoros briefing Chief Guest H.E. 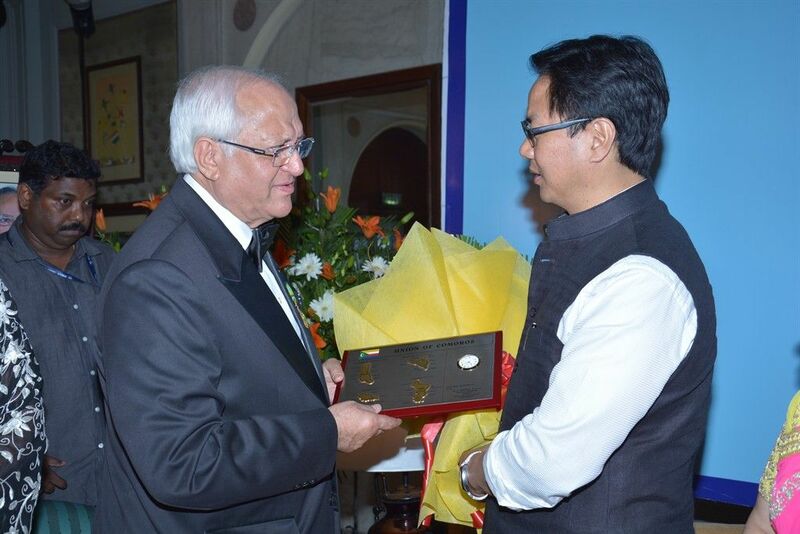 Mr. Kiran Rijiju Minister of State of Home Affairs, Government of India about Union of Comoros. Mr. K.L. Ganju, o.c.v.c, Consul General, Union of Comoros and Dr. (Mrs.) G.K. Ganju and other family members with Chief Guest H.E. 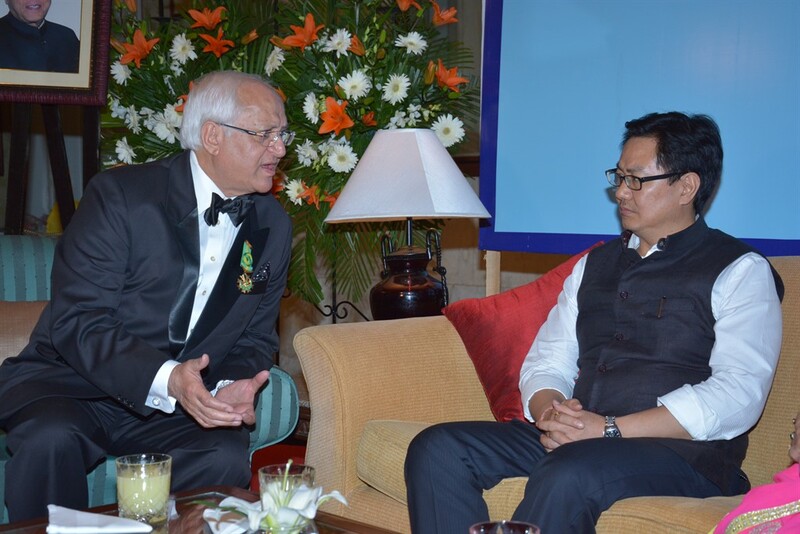 Mr. Kiren Rijiju Minister of State of Home Affairs, Government of India during the National Anthem played at the function.